We have a wide selection of dry cat foods. From high quality foods from Arden Grange and James Wellbeloved to more affordable foods like whiskas and go cat. 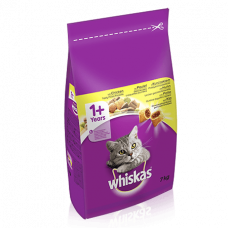 Nutritionally complete and balanced for adult cats WHISKAS understands that little cats share the s..